fool’s gold | True Endeavors Presents: music, tours, tickets, mp3 downloads, concert pictures, videos, Madison WI. Vids from last Saturday’s Edward Sharpe and the Magnetic Zeros concert at The High Noon Saloon have just been added to our True Endeavors YouTube Channel, as well as Fool’s Gold’s opening performance of “The World Is All There Is.” Take a peek at the euphoria of their psychedelic folk show! There’s just one show coming up this week, but it’s a big ‘un! 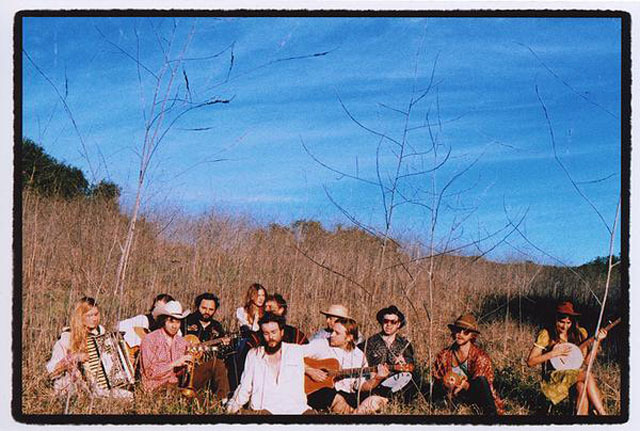 The sounds of California’s quirky, utopian musical collective of Edward Sharpe & The Magnetic Zeros are more infectious than the swine flu, and show no signs of slowing down anytime soon. They’re heading to Madison for a show at the High Noon Saloon on Saturday, the 28th and we want you to be there. 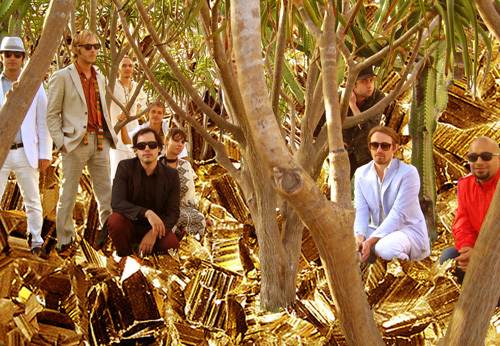 Read on find out more about the group who put out one of the best records of 2009 and enter to win a pair of tickets to the show.